One of the cool things about my job are the random tickets that become available from time to time. Last week, I won a sales contest and my prize was two tickets to see Eric Church at US Bank Arena in Cincinnati. One of my favorite parts about Country concerts is the ability to break out my favorite Red cowboy boots without judgement. So of course, they were the center of my whole outfit. 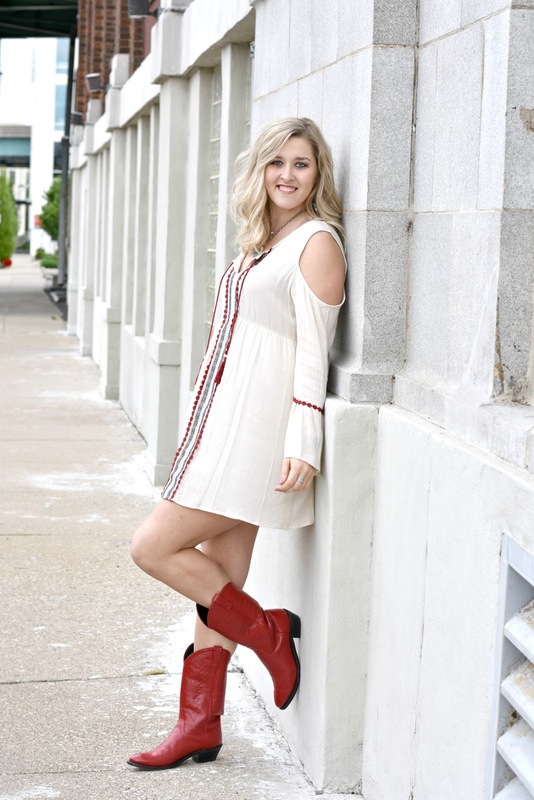 A cute dress + cowboy boots is always a great go-to. I found this Coco + Jaimeson dress from my Dillard's clearance outfit so I paid maybe a whole $15 for it. 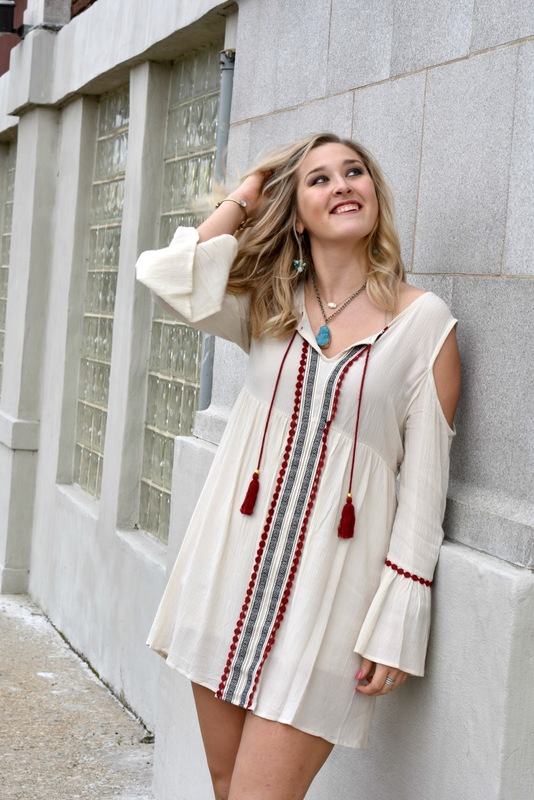 I fell in love with the red embroidered detail and of course the tassels and bell sleeves.